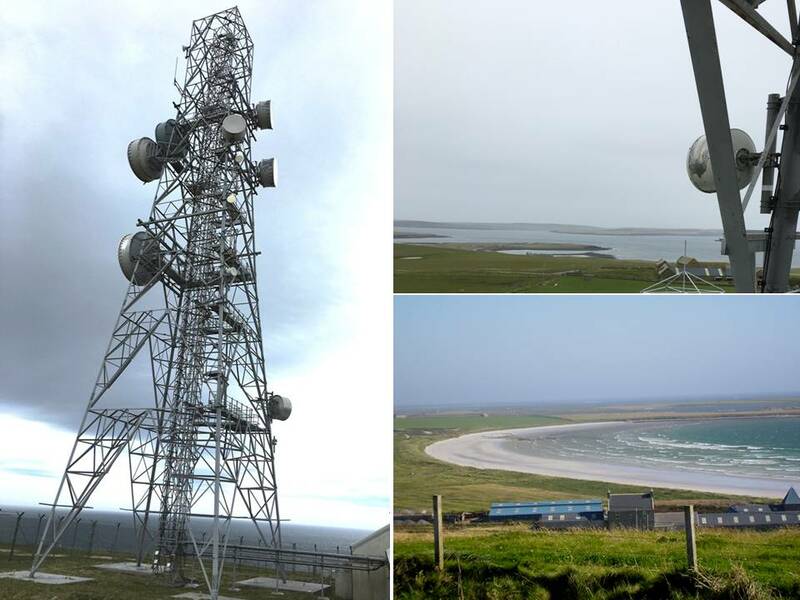 LARS has recently carried out steel replacement work on a 52 metre tower and a 12 metre tower at the BT Sanday Radio Station on the Orkney Islands. As you can imagine the successful completion of this work represents quite an achievement for LARS, considering the remote location of the structures and the logistics and planning involved in mobilising engineers and equipment to site. Sanday is the third largest of the Orkney Islands and is reached by ferry or plane from Kirkwall on Mainland, the main island of Orkney. The strengthening work required on the larger tower included the replacement of tower bracing members along with hand railing and floor panels at various points on the tower between 10 and 41 metres plus installing feeder supports at 37 metres. Works on the smaller structure comprised the installation of flooring at 4.6 and 9.1 metres respectively. Work was successfully completed on time in early August after 10 weeks on site.